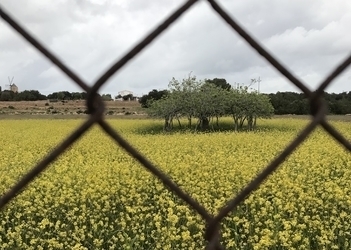 The Formentera Council's Office of Culture reports that today until April 12, submissions —either in person at the Citizen Information Office (OAC) or by certified mail directly to the Formentera Council— will be accepted to the Beni Trutmann photo competition. Entering into its seventeenth year, the contest has become a fixture on the island. The photo contest is a tribute to Beni Trutmann, a prodigious Swiss photographer who fell in love with Formentera on a visit and went on to spend 44 years on the island, during which time he took upwards of thirty thousand photos, each a demonstration of his love for the island and its natural spaces. It is the reason the Beni Trutmann photo contest is all about nature —landscapes, fauna and humans interacting in the outdoors— and defending our environment. In the Colour and Black & White categories, participants can submit up to three prints (analog or digital) in square, digital, classic and panorama format. Contestants must also state which prize—first, second or third, with cash prizes of €500, €300 and €200, respectively—they wish to compete for. This year, organisers have added a new category —fotodenúncia— for photography that is political in nature, seeking to denounce injustices, demand change or encourage reflection on a particular environmental issue. Cash prizes for the first-, second- and third-place winners are €500, €300 and €200, respectively. As every year, a panel of judges will be made up of a spokesperson from the local chapter of the Balearic association for birdwatching and the defence of nature; one representative of the local chapter of Obra Cultural Balear; three individuals renowned for their work in the visual arts; plus a president and secretary. Winning submissions will be included in Formentera's image and sound archive, the AISF, and become property of the Council, which reserves the right to reproduce them as it deems fit (on posters, signs, internet-based campaigns, etc), though not for profit. In its 17 years, the competition has amassed a valuable archive of roughly 1,200 photos from 300 participants. No better proof of the contest's growth can be found than the participation of photographers from as far away as mainland Spain and other countries in Europe. CiF culture and patrimony councillor Susana Labrador encouraged islanders to trawl their boxes of old photos or “walk the island, camera in hand, and be ready—absolutely anyone can be in the right place and right time and snap a classic”. Highlighting the youth category, Labrador called on young islanders in particular to scour the island —personal phone (or their parents') in hand— and dive right into photography.